The SmartSteer steering unit enables you to operate vehicle functions such as windscreen wipers and washer, indicators, lights, horn etc. 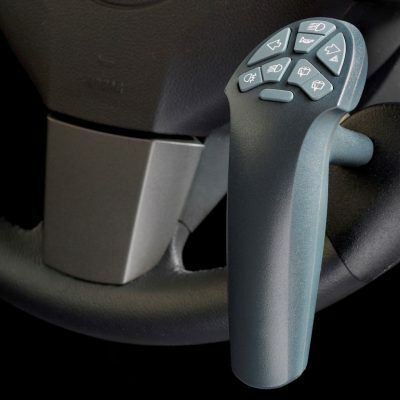 easily and safely while at the same time keeping control of the steering wheel. Available for almost every vehicle. Call a Mobility Specialist at 877-501-8267 and let United Access help you find the right Bever Mobility Steering System to best suit your mobility needs.